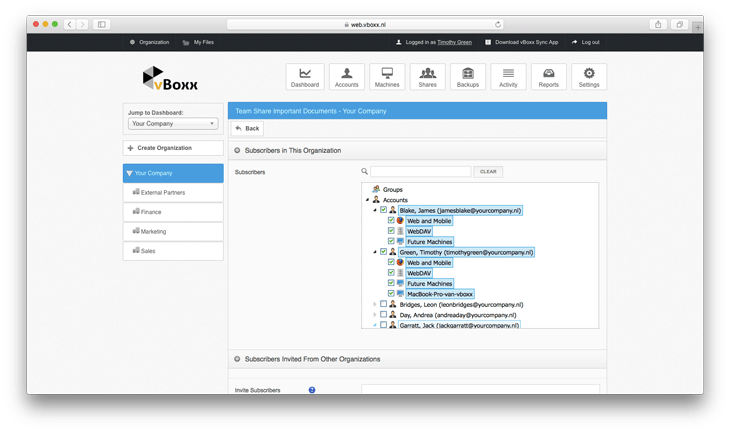 Implement data access policies, and keep track of user and shared folder activity. 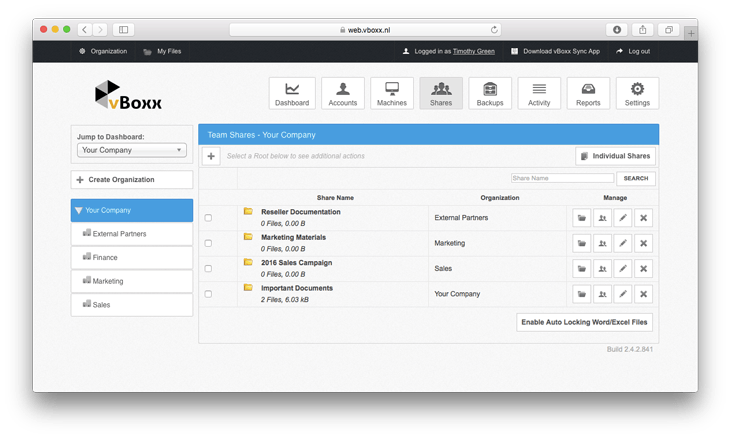 Create independent environments for different teams with their own users, shares, policies, branding and more. The admin dashboard helps you monitor device and user statistics. 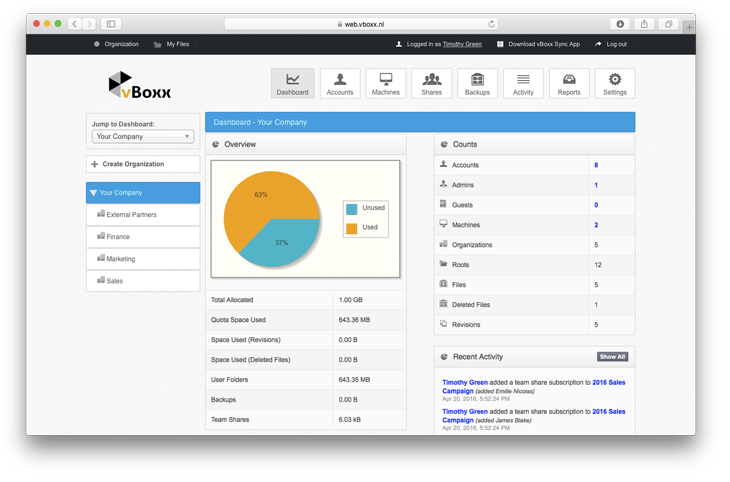 Keep track of available storage space and device activity. 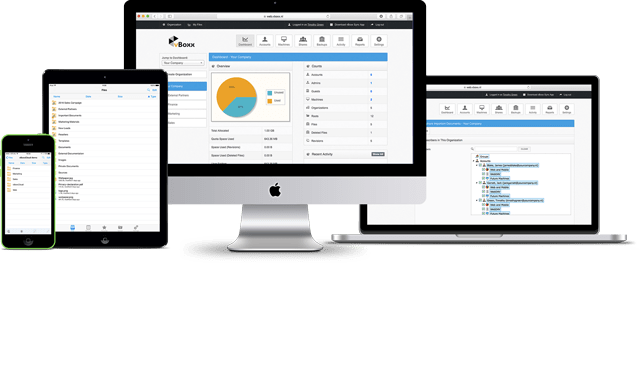 As an admin you can keep track of the number of accounts, machines, and set up access policies for your organization. Follow recent activity and set up alerts to always be up to date about what happens in your organization. Monitor data backups and file history. Implement file retention policies and recover deleted files. Monitor user access to folders and protect accounts from harmful access with two-factor authentication. 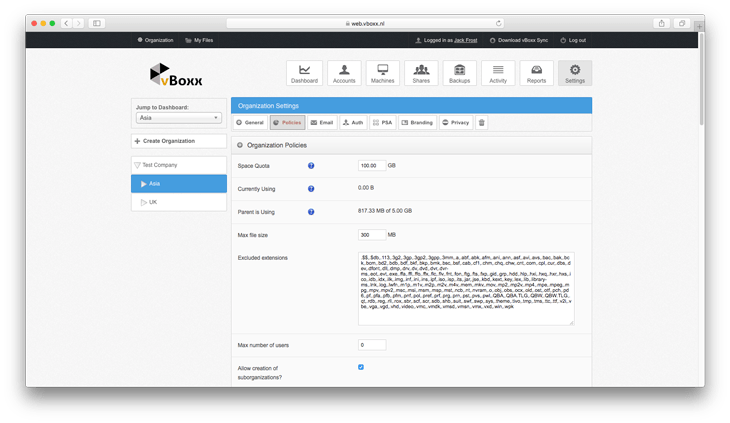 Create custom policies for different organizations and customize storage, bandwidth and authorized file extensions. 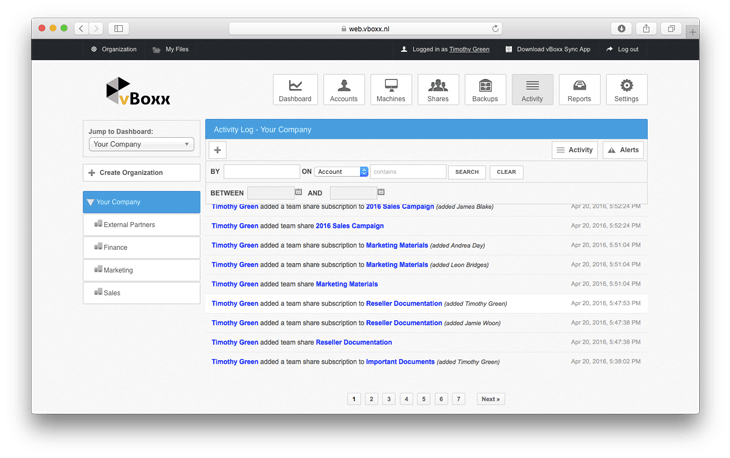 Create alerts in vBoxxCloud to receive email and text message notifications based on user and file activity. 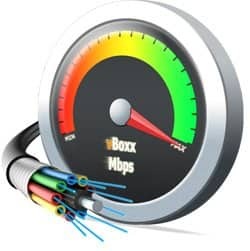 vBoxxCloud does not limit your bandwidth. Admins can customize bandwidth usage for any sub-organization. 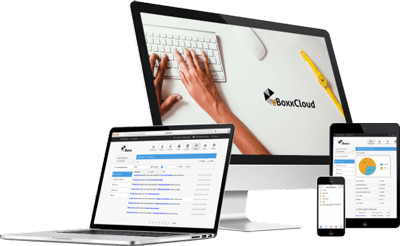 All mobile devices, laptops and desktops are shown in one simple overview as well as the organization they belong to. Avoid synchronization issues by verifying whether the devices are up-to-date or currently connected. 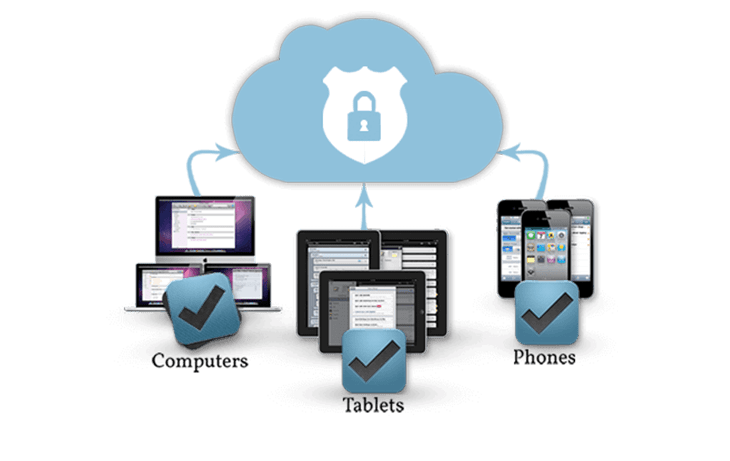 Manage file access for each device. If a device is lost or stolen, use the Remote Wipe feature to delete all files.